When you work with a computer all the time it's quite usual to have folders full of files with names that in many cases don't correspond with their contents. 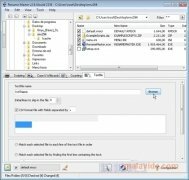 For situations like this you now have Rename Master, a simple tool that doesn't require installation and that with only a few clicks will easily rename the files. 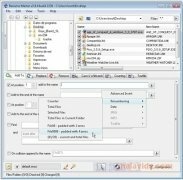 Rename Master, which you can download for free, is an ideal solution for those users that work with many files. Changing all their names individually can work out being a lot of hard work. Nevertheless, Rename Master has been launched to help users and make this process a lot quicker. You will be able to add, change or eliminate the names. 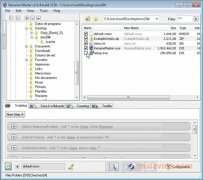 Rename Master can also rename the files based on their properties, by means of MP3 tags or JPEG, JFIF or EXIF tags, and of course, rename the files in batches. 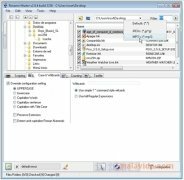 It has an undo button in case you have caused an error and options to integrate the application with Windows explorer. 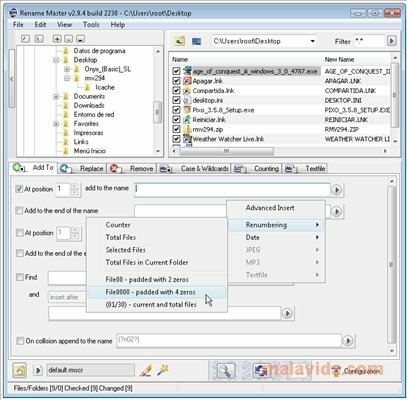 When it comes to renaming files the importance of utilities like Rename Master is very high. Its useful functions save time and effort that will surely be perfect for you daily work with the computer.